Linda Kuhlmann, Oregon author, has a newly-published novel of family secrets and a stolen race horse, Koenig’s Wonder. She and other local authors will participate in the Grand Opening Celebration of the new Oregon Book and Games store at 150 NE E Street (the corner of E and 7th) in Grants Pass. For more opportunities to visit with Linda Kuhlman at readings and signings, visit her website. 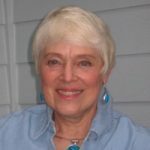 Lois Jean Bousquet’s essay, Life Revised, appears in Press Pause Moments: Essays about Life Transitions by Women Writers, compiled and edited by Anne Witkavitch. The anthology is now available from Kiwi Publishing or Amazon. Going sailing tipped the first domino in Christie Gorsline‘s writing career. Now, with the help of a muse at Colonyhouse, her first book will be published this fall by Inkwater Press. Plotting a New Course: Empty Nest to Life Vestis a travel memoir. Faced with job dissatisfaction and children heading to college, Christie and husband Rick grabbed their confusion and shaped it into a vision: they would sail around the world. The first wrinkle was they had no experience sailing and didn’t own a boat. Through images and metaphors recorded in journals during six years at sea, an old way of life unravels and a new tapestry is woven. A segment of the manuscript won first place for non-fiction in the 2009 Willamette Writers Kay Snow Contest. Chapters from the book have appeared in Living Aboard magazine and on National Public Radio. Don Colburn’s third collection of poetry, a chapbook titled Because You Might Not Remember, is due out in November from Finishing Line Press, where it was a finalist in this year’s national competition.